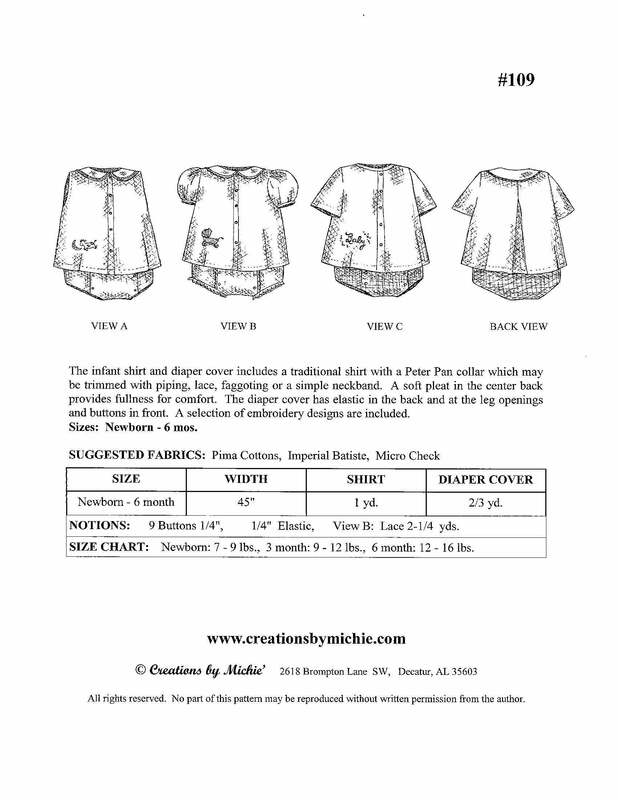 The Infant Shirt and Diaper Cover includes a traditional shirt with a Peter Pan collar which may be trimmed with piping, lace, faggoting or a simple neckband. A soft pleat in the center back provides fullness for comfort. 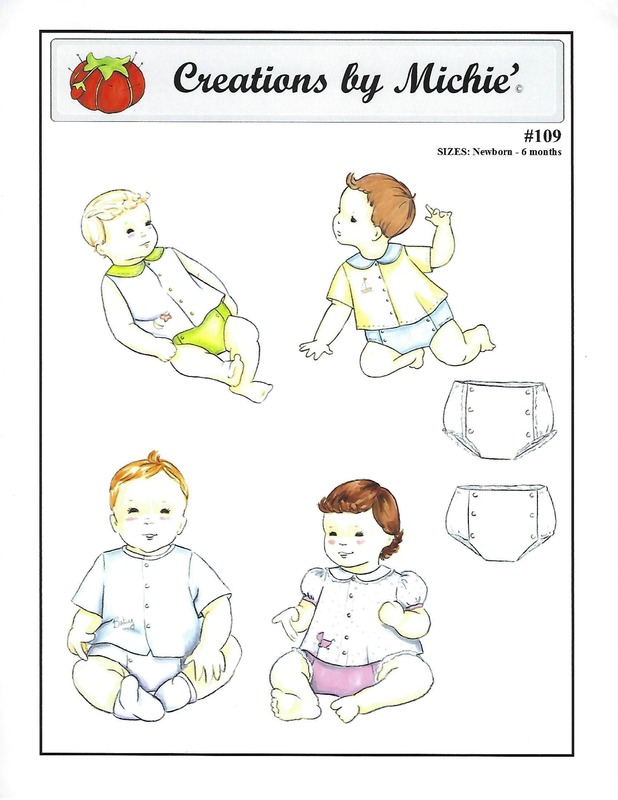 The diaper cover has elastic in the back and at the leg openings and buttons in front. 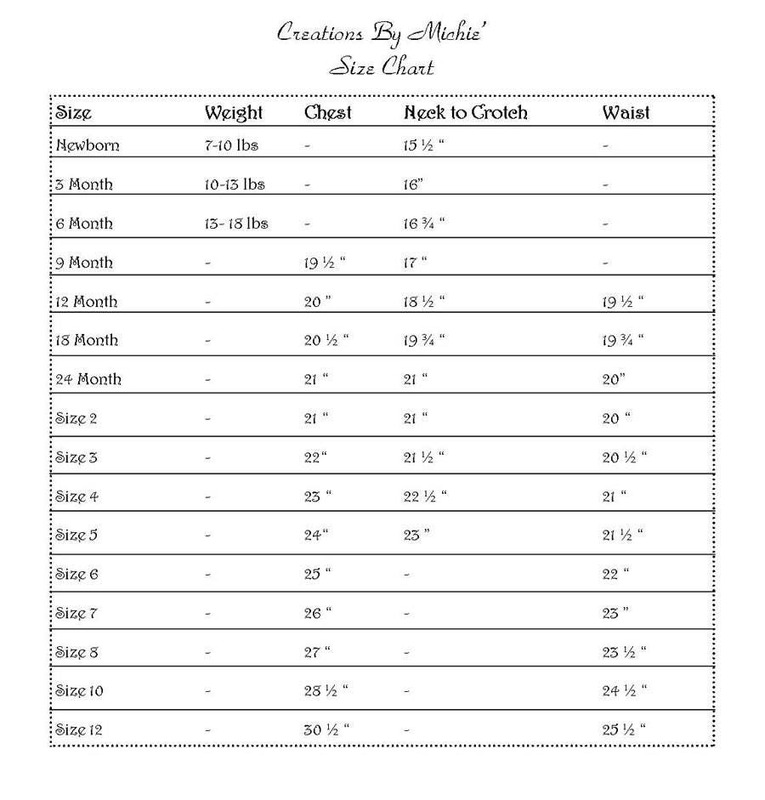 A selection of embroidery designs are included. Newborn - 6 mo - All sizes included in one envelope.